Bringing clarity to difficult business problems through a combination of sophisticated financial analysis, operating insight and practical transaction experience. 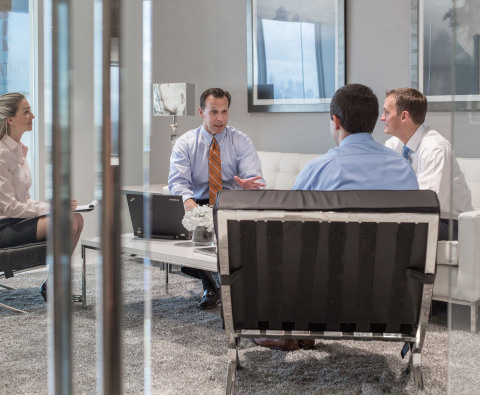 GlassRatner is a multi-office specialty financial advisory services firm providing Solutions to complex business problems and Board level agenda items. The firm applies a unique mix of skill sets and experience to address matters of the utmost importance to the enterprise such as planning and executing a major acquisition or divestiture, pursuing a fraud investigation or corporate litigation, managing through a business crisis or bankruptcy and other top level, non-typical business challenges. GlassRatner was formed by Ron Glass and Ian Ratner in 2001 based on a shared business philosophy of credible Solutions to complex business challenges. The firm brings together a unique combination of financial and operating insight gained from decades of collective experience working in crisis situations, along with practical transaction experience. In 2018, GlassRatner merged with B. Riley Financial to become part of a diversified platform that offers end-to-end services for their clients. Together, GlassRatner and B. Riley are ready to help with all your financial service needs at any stage during the business life cycle. GlassRatner’s overriding philosophy is to provide Solutions to protect, enhance, and create value for its clients whether working for shareholders, creditors, investors or management. This is accomplished by gaining a complete understanding of the facts and circumstances surrounding each assignment, detailed and sophisticated financial analysis and the application of real world experience. Ron Glass and Ian Ratner became acquainted in the 1990s while working together on a real estate workout. They formed a personal and professional friendship that resulted in the formation of GlassRatner in 2001. Ron and Ian shared a common vision for a professional services firm focused on integrity, cost efficiency, superior client service and flawless administration. They foresaw a firm where senior team members remained directly involved with client work—and where parties could start projects without executing a draconian engagement letter. Prior to the formation of GlassRatner, Ron Glass held C-level positions in a number of business entities controlled by Sam Zell, one of the nation’s best known real estate entrepreneurs and deal makers. 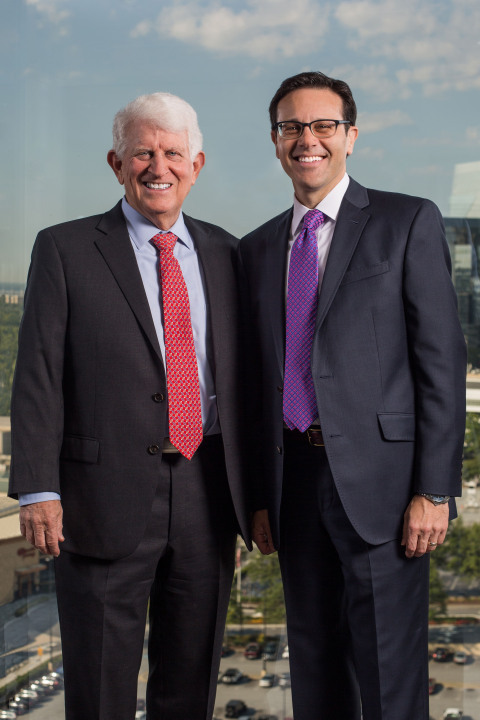 Since founding the firm, Ron has led almost every type of matter related to distressed companies and troubled real estate entities including acting as financial advisor to debtors and creditors in bankruptcy cases, leading numerous complex out-of-court restructurings, acting as plan administrator, Chapter 11 trustee, liquidating agent, and Chief Restructuring Officer. Ron is recognized as one of the nation’s leading restructuring professionals, and he has served as an expert panelist or keynote speaker on numerous occasions. Clients and colleagues appreciate Ron’s relaxed style, and his easygoing nature is a calming influence in difficult situations. Prior to the formation of GlassRatner, Ian held senior leadership positions with Kroll Associates and in the financial advisory services practice of Ernst & Young. Ian has established a proven track record as a forensic accountant, expert witness and bankruptcy advisor. In recent years Ian has led large creditor committee assignments, advised borrowers in multi-bank out of court restructurings, led the liquidation of a number of hedge funds and financial institutions, and acted as Receiver in various Caribbean jurisdictions. Ian continues to have an active practice as an expert witness and has become one of the country's most respected in complex comercial and valuation disputes. Ian is a regular lecturer, and guest speaker at law firms around the country presenting on valuation, bankruptcy and complex litigation support topics. Ian is recognized by his clients and colleagues as a caring leader and a skillful communicator. Ron and Ian have remained true to their original vision for GlassRatner. They have stayed directly involved with client work, and they have inspired the successful can-do culture of GlassRatner. They have built a national team of dedicated professionals, while leading the firm to phenomenal levels of growth, respect and recognition. BTG Global Advisory is one of the world’s largest independent insolvency, restructuring and forensic accounting alliances. GlassRatner is one of the founding members of this global organization that has a tight knit group of international members that provides global coverage for our clients. From Europe, to South America, Canada and Australasia, BTG Global Advisory members are trusted advisors to leading banks, law firms, private equity funds, bankruptcy creditors, debtors and other stakeholders in complex restructuring and forensic accounting matters. Hardesty, LLC is a national professional services firm that provides on-demand financial management executives to companies ranging from emerging growth to large public entities through a variety of flexible offerings. Hardesty provides on-demand CFOs, treasurers, controllers and other financial management with deep operational management expertise. They are focused on delivering timely and effective human capital solutions. Hardesty's national footprint allows them to deploy resources effectively regardless of the engagement location.